Property crimes throughout Mesa and the surrounding areas can include many different types of offenses, ranging from simple misdemeanors to serious felonies. Many times, individuals do not realize they are engaging in criminal activity when they commit criminal damage, vandalism or graffiti. An individual who has been arrested and charged with a property offense in Mesa can face serious penalties, including jail or prison sentences, restitution, fines, a criminal record and/or an inability to pursue certain professions, jobs or educational opportunities. Property offense criminal charges do not necessarily have to result in a conviction. The Arizona prosecutor has the very high burden to prove you committed every element to your property offense beyond a reasonable doubt. This means if the judge or jury has any doubt, the charges against you may be reduced to a lesser offense or even dismissed altogether. Therefore, it is important to hire an experienced criminal defense lawyer in Mesa who will make every effort to help you find defenses or mitigating factors to your alleged offense. If you have been accused of committing a property offense in Mesa, or any of the surrounding areas Arizona, including Mesa, Gilbert, Tempe, Chandler, Scottsdale or East Valley, contact the Law Office of James E. Novak. Attorney James Novak is knowledgeable in all areas of property crimes in Arizona and will make every effort to fight the allegations against you and help you achieve the most desirable outcome for your particular situation. Call the Law Office of James E. Novak for a free consultation at (480) 413-1499 about your property crime allegations. Some of the most commonly property crimes in Mesa are listed below. Property crimes generally involve damage to or the taking of another person’s real or personal property, including land, their home, vehicle, any building or structure, and any other moveable property. Draw or write any message, slogan, sign or symbol on any public or private building without the permission of the owner. This is also commonly known as graffiti. Criminal damage is punishable a class 2 misdemeanor, class 1 misdemeanor, class 6 felony, class 5 felony or class 4 felony, depending on the value of the damaged property. Deface, damage or tamper with any public utility, agricultural infrastructure or property, construction site, or existing structure for the purpose of obtaining non-ferrous metals, such as copper, aluminum or brass. 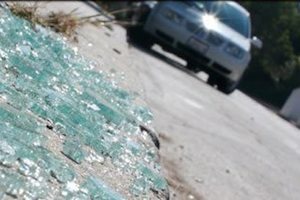 Aggravated criminal damage can result in a class 6, 5, 4 or 3 felony conviction, depending on the type of place damaged and the value of the property. Criminal Trespass – ARS § 13-1502 – 13-1504 – An individual can be charged with this offense if they knowingly enter or remain unlawfully at any location. This offense can be in the first, second or third degree, depending on the type of property or location. Criminal trespass can result in a class 3 misdemeanor, class 2 misdemeanor, class 1 misdemeanor, or a class 6 felony conviction depending on the degree of the criminal trespass offense. Burglary – ARS § 13-1506 – 13-1508 – An individual can be charged with this offense if they enter or remain unlawfully in or on any structure with the intent to commit any theft or any felony therein. This offense can be in the third, second or first degree, depending on the type of structure and whether a dangerous weapon was used during the commission of the offense. Burglary can result in a class 4 felony, class 3 felony or class 2 felony conviction. Reckless Burning – ARS § 13-1702 – An individual can be charged with this offense if they recklessly cause a fire or explosion that results in damage to an occupied structure, wildland or property. Reckless burning is punishable as a class 1 misdemeanor. Arson of a Structure or Property – ARS § 13-1703 – An individual can be charged with this offense if they knowingly and unlawfully damage a structure or property by causing a fire or explosion. Arson of a structure or property is punishable as a class 1 misdemeanor, class 5 felony or class 4 felony. Arson of an Occupied Structure – ARS § 13-1704 – An individual can be charged with this offense if they knowingly and unlawfully damage an occupied structure by causing a fire or explosion. Arson of an occupied structure is punishable as a class 2 felony. Arson of an Occupied Jail or Prison Facility – ARS § 13-1705 – An individual can be charged with this offense if they knowingly cause a fire or explosion that results in physical damage to a jail or prison facility. This offense can result in a class 4 felony conviction. Whether the structure was occupied or unoccupied. A class 3 misdemeanor property offense conviction can result in up to 30 days in jail and/or a fine up to $500. A class 2 misdemeanor property offense conviction can result in up to four months in jail and/or a fine up to $750. A class 1 misdemeanor property offense conviction can result in up to six months in jail and/or a fine up to $2,500. A class 6 felony property offense conviction can result in prison term ranging from 18 months to three years, but the presumptive term of imprisonment is for 27 months. A class 5 felony property offense conviction can result in a prison term ranging from two years to four years, but the presumptive term of imprisonment is for three years. A class 4 felony property offense conviction can result in a prison term ranging from four years to eight years, but the presumptive term of imprisonment is for six years. A class 3 felony property offense conviction can result in five years to 15 years in prison, but the presumptive term of imprisonment is for 7.5 years. A class 2 felony property offense conviction can result in a prison term from seven years to 21 years, but the presumptive term of imprisonment is for 10.5 years. A class 6 felony property crime conviction can result in prison term ranging from six months to 18 months. The presumptive term for a first-time offender is one year. A class 5 property crime conviction can result in a prison term ranging from nine months to two years. The presumptive term for a first-time offender is 1.5 years. A class 4 felony property crime conviction can result in a prison term ranging from 18 months to three years. The presumptive term for a first-time offender is 2.5 years. A class 3 felony property crime conviction can result in 30 months to seven years in prison. The presumptive term for a first-time offender is 3.5 years. A class 2 felony property crime conviction can result in a prison term from four years to ten years. The presumptive term for a first-time offender is five years. Certain defenses may be available to property offenses in Arizona. These offenses, listed below, are not available for every offense or very situation. Therefore, it is extremely important to consult with an experienced criminal defense attorney who can help you identify your best legal strategy and defense to your alleged offense. Duress – ARS § 13-412 – Duress may be available in a situation where the alleged offender committed an act that would otherwise be a crime, but did so because they were forced to commit the act from the threat or use of physical force that would result in a serious injury by another person. Necessity – ARS § 13-417 – Necessity may be available in a situation where the alleged offender engaged in conduct that would otherwise be a criminal offense, but did so because they was no better alternative in order to avoid greater public or private injury. Justification – ARS § 13-402 – A justification defense may be available if an alleged offender committed an act that would otherwise be a criminal act, but it is justifiable when required or authorized by law. Renunciation – Renunciation may be an available defense in situations where the alleged offender withdrew from participation in the criminal act before it occurred and made substantial efforts to prevent the crime from occurring. Reasonable Belief – Reasonable Belief is often available as a defense in property crime situations where the alleged offender reasonably believed they had the permission of the owner to use their property or enter their property. Arizona Revised Statutes – Criminal Trespass and Burglary – Chapter 15 of Title 13 of the Arizona Revised Statutes defines criminal trespass and burglary offenses and penalties in Arizona. This link is directly to criminal trespass in the third degree under ARS § 13-1502. Arizona Revised Statutes – Criminal Damage to Property – Chapter 16 of Title 13 of the Arizona Revised Statutes defines the elements and penalties to criminal damage, aggravated criminal damage and criminal littering offenses in Arizona. This link is directly to criminal damage under ARS § 13-1602. Arizona Revised Statutes – Arson – Arson offense and penalties are defined in Chapter 17 of Title 13 of the Arizona Revised Statutes, including reckless burning and arson of a structure. This link is directly to the offense of reckless burning under ARS § 13-1702. Office of Justice Programs – Bureau of Justice Statistics (BJS) – This link is to the National Crime Victimization Survey (NCVS), which measures property crimes throughout the nation, including burglary and criminal trespass, as provided by the BJS. Contact the Law Office of James E. Novak today for a consultation about your property crime throughout Maricopa County in Arizona. James Novak is an experienced criminal attorney in Tempe who will make every effort to help you avoid the most serious penalties and repercussions to your alleged property offense. Contact the Law Office of James E. Novak at (480) 413-1499 for a consultation about your alleged property crime throughout Maricopa County in Arizona.